The Legend of the Mataram King of Java centers on Panembahan Senopati a 16th century ruler of the Mataram Sultanate, an ancient Hindu-Javanese kingdom that included the lands near the Merapi volcano. 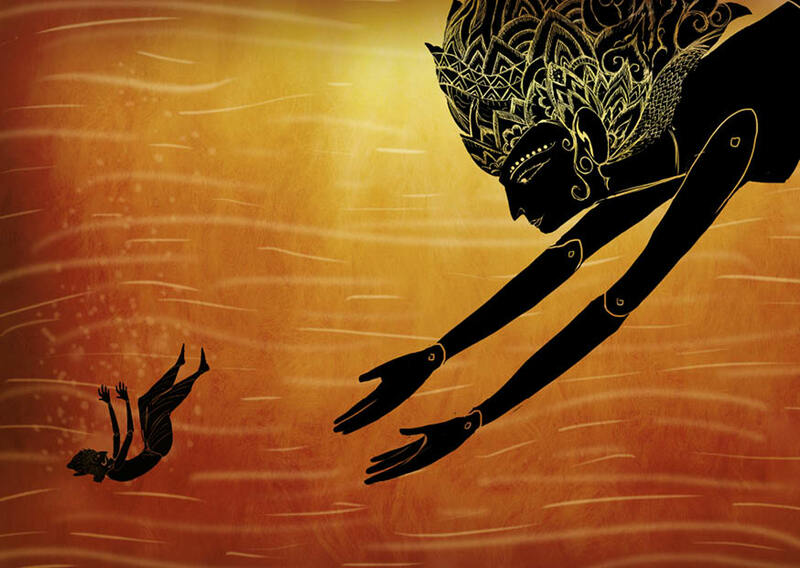 Legend says that Senopati started a relation between his dynasty and Nyai Loro Kidul, the Queen of the South Sea according to the indigenous Javanese legends. The spiritual connection between Mount Merapi, the Southern Java Sea, and Jogjakarta is valued in ancient and contemporary Javanese culture.